Have you ever considered recruiting your next leader from MMORPGs like World of Warcraft, Eve Online or EverQuest? Or maybe having considered enhancing your business leadership skills while playing a MMORPG? A study once done by IBM and Seriosity found significant similarities between business leaders and MMORPG gamers. A Massively Multiplayer Online Role-playing Game (MMORPG) is an online game which is played by millions of players who buy, sell and trade goods and services in ways that imitate real world economics. One can learn a lot about real-life business from watching virtual economies in action and as a result enhance their leadership skills. What 5 leadership or business skills can we learn from MMORPGs? Online teams need each player in the team to be a success. A raid leader needs his/her team members as much as they need him/her to guide them. Often, players are from all different places in the world. Globalisation plays a huge role in today’s organisations and collaboration is key. Trial and error plays a big role in accomplishing game tasks whereby failure is a means to success. This improves the skill and confidence of a team. Organisations can expose leaders to risk by mimicking the structure of MMORPGs and breaking down big challenges into small projects and creating a culture where failure is tolerated. In MMORPGs there are various ways to see how each player is contributing to the success of the team and everyone takes responsibility and accountability for their actions. Leaders need to be aware of each team member’s contribution and each team member must take accountability for their work. 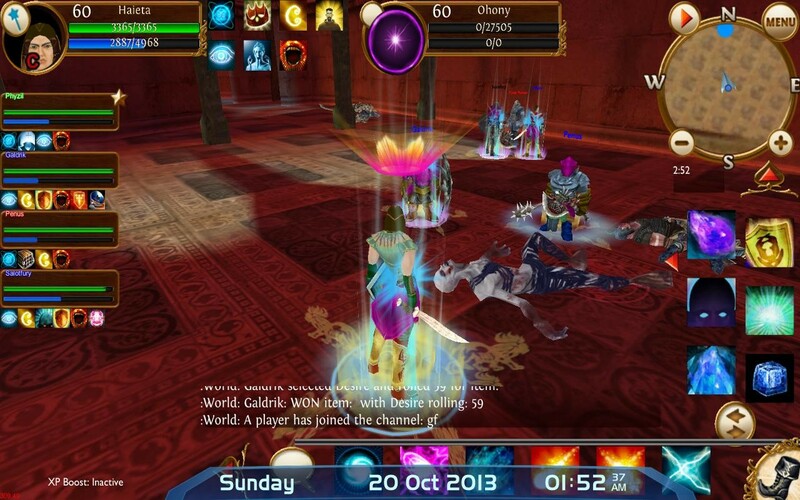 During gameplay, players have to think on their feet and raid leaders need to make quick decisions to win battles. This is easily portrayed in our constantly changing organisational environment and demonstrates one’s ability to problem solve or make decisions when under pressure. In MMORPGs, gamers want to be awarded for each victory in the form of loot. 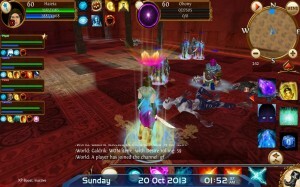 Generally, when a mission is accomplished, a player will win in-game currency, spells, equipment, or weapons which will give them a higher ranking. In some games like World of Warcraft, the raid leader needs to distribute the loot and needs to be fair and transparent when doing so. In an organisation, this is the role of a leader – to motivate team members to achieve their desired outcomes. Motivation could be tangible such as a bonus, an increase, a gift voucher; or intangible such as emotional support or verbal support. The above 5 are only some of the many skills one can learn by playing MMORPGs. As the University of Southern California (USC) and John Seely Brown famously said, “I would rather hire a high-level World of Warcraft player than an MBA from Harvard.” Who will you hire? This entry was posted in Blog, Development, Fun, Games, Gamification, Leadership, Learning, MMORPG and tagged development, education, games, gamification, gaming, Leadership, learning experiences, MMORPG, skills. Bookmark the permalink.